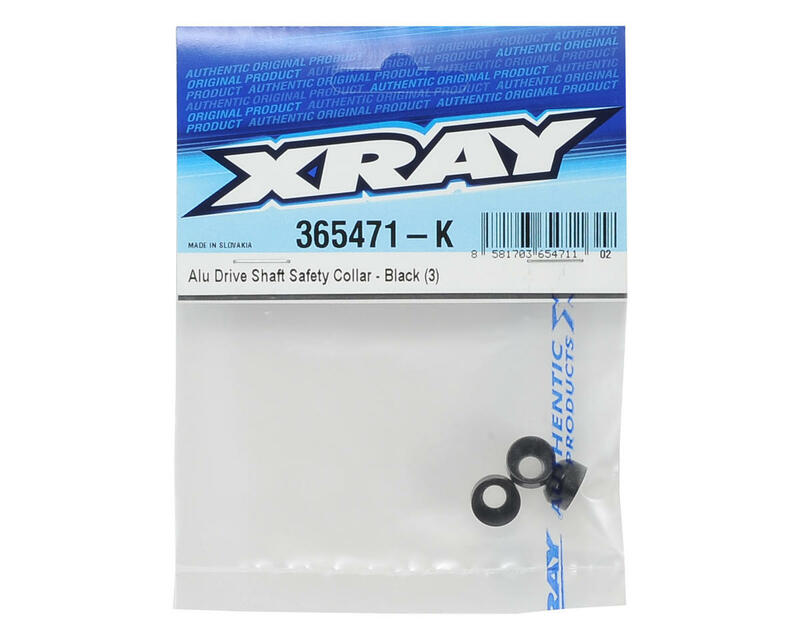 This is a pack of three optional XRAY Aluminum Driveshaft Safety Collars. These stylish collars go over your CVD shafts and ensure the mounting pin is securely contained. 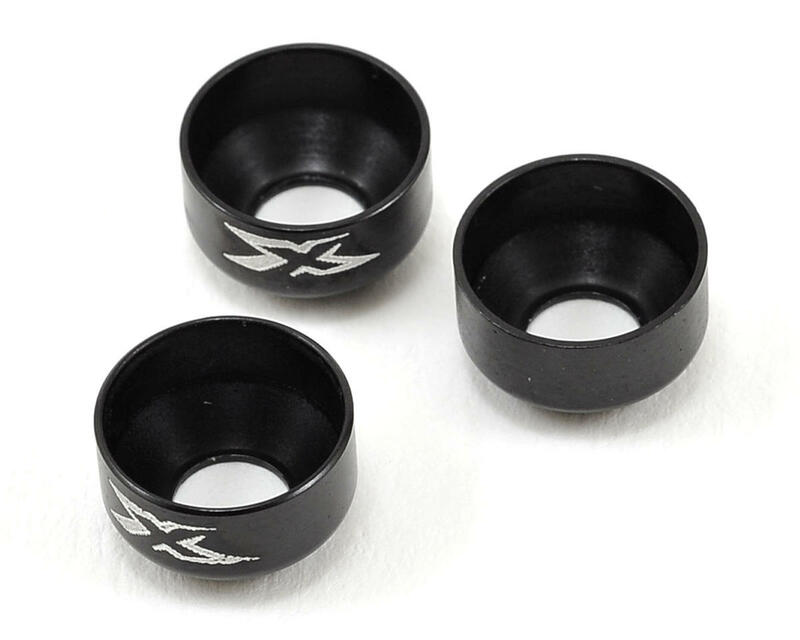 Collars engraved with XRAY logo.